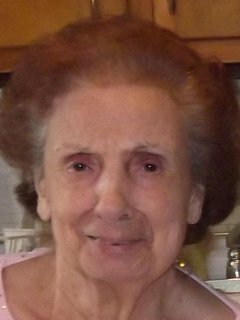 Mary C. Mintz “Gramma Pasta”, 95, (nee Nicolosi) wife of the late Fred Mintz, was taken into the hands of our Lord and savior Sunday, January 13th. She was preceded in death by her parents Pietro (Peter) and Agnese (Agnes); brothers Ralph, Dominic, Anthony, and Joseph, and sister Antonina “Lena” Scolaro. She is survived by her children Rosario (Marlene) Villari, Lana (Fred) Stadler, Jack (the late Linda) Villari, Greg Mintz and Tami (the late Joe) DiNapoli; 13 grandchildren and 33 great-grandchildren. So sorry for your loss. Safe home, Gramma Pasta. So sorry to hear about Mary. God bless her and her family. My love to the entire family. I wouldn’t even know where to begin to express my respect. So many fond memories of a woman that knew how to love. Condolences to Mary’s family and friends. I have a lot of memories standing at her elbow making sauce and meatballs and pizza, going to lunch and maintaining a friendship. Many years full of memories for all. I have a pit in my stomach that won’t subside. I miss her voice. My beautiful aunt Mary. I love her. She will be remembered forever in my heart.